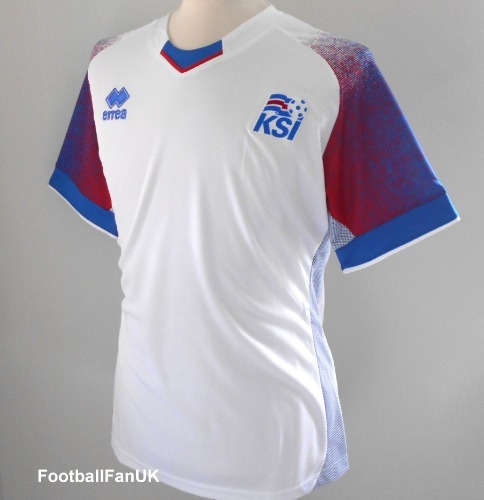 This is the 2018-2019 season away shirt of the Iceland national soccer team to be used by the team in their historic World Cup 2018 finals matches. - Features a KSI Federation badge. - White with red and blue graphics and trim.